“Moving Technology to Market” was the theme at this year's Photonics West 2017, which concluded last week in San Francisco, California (US). With 1383 exhibitors, SPIE added 3000 square feet of space to accommodate the growth. The theme was evident across the show floor, with more than 200 new products on display, many of which are solving real problems and advancing new markets. TetraVue, which was founded in 2008, is an example of a small company that just got venture capital funding to develop a time-of-flight imager intended for use in the autonomous driving industry. The company was exhibiting in the Job Fair area because the company is looking to add about 20 people in the next year, effectively doubling its workforce. Another small company that made a big splash with a new product was Luxmux, which introduced the BeST-SLED broadband light source. 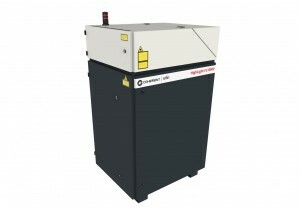 A multiple super luminescent diode light source that provides up to 50mW of power over a spectral band of 1230nm to 1730nm has received much interest from scientific research and industrial markets, such as oil and gas. The Startup Challenge is an example of the many light technologies making a real difference in useful products. Any of the finalists could be bringing products to market soon, and we look forward to seeing them in the coming years, returning as exhibitors with successful products. Long-established companies are also innovating, and adapting products for new and changing markets. Princeton Instruments was showing Fergie, which is a camera and spectrometer in one with no alignment needed—making it easy to use in research labs and academic settings where the operator does not have to be an optics expert. Coherent, now with Rofin, Nufern and Tinsley under its umbrella, was showing Obis, which has four lasers in one plug-and-play box. Designed for flow cytometry, this product is aimed at the life sciences market where the user is likely a biologist, rather than a laser expert, and this tool is designed for ease of use. 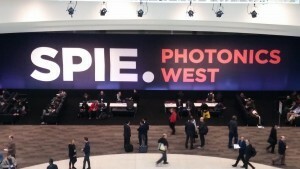 Photonics West 2018 will be held in the Moscone Center in San Francisco, California (US) from 28 January to 2 February.